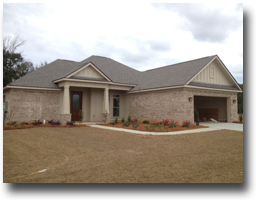 Already own a home in the Gayfer Estates Plantation subdivision? Thinking of selling? Click here and read about current search trends & our web network. Gayfer Estates Plantation is a fairly large subdivision just outside of downtown Fairhope, AL. The community is also a short drive to both Pensacola, FL and Mobile, AL at approximately 30 - 40 minutes away. These two cities both have regional airports and a host of things to do such as dining, entertainment and shopping venues. Another great thing about Gayfer Estates Plantation is its proximity to the beaches of Gulf Shores, AL. If you need further info, have questions or would like to schedule a viewing for any of the homes for sale in Gayfer Estates Plantation or any other properties in the area, please email info@condoinvestment.com or call (251) Area-Pro (251-273-2776) for immediate assistance.